28-year-old Antoine Deltour has been charged in Luxembourg with a string of criminal offences including theft, violation of professional secrecy, violation of trade secrets and illegally accessing a database. Deltour joined PwC from business school in 2008 and resigned two years later. He said: “Normally auditors are a bit like regulators. It is a useful profession, we verify the accounts of companies... But I wasn’t feeling at home in that environment [at PwC]. Bit by bit I discovered how extreme the system was in reality – it was a massive tax optimisation practice. I didn’t want to be part of that.” Last month the Guardian and more than 20 news media around the world, in conjunction with the International Consortium of Investigative Journalists (ICIJ), published detailed investigations into the tax affairs of several multinationals, based on leaked tax rulings secured by PwC for large clients. Luxembourg’s finance minister Pierre Gramegna has described the affair as “the worst attack Luxembourg has experienced in its history”. But his counterparts in France, Germany and Italy suggested the revelations had brought Europe to an “obvious … turning point” in the international debate on unfair tax competition. “Since certain tax practices of countries and taxpayers have become public recently, the limits of permissible tax competition between member states have shifted,” they said in a letter to Pierre Moscovici, European commissioner with responsibility for tax. 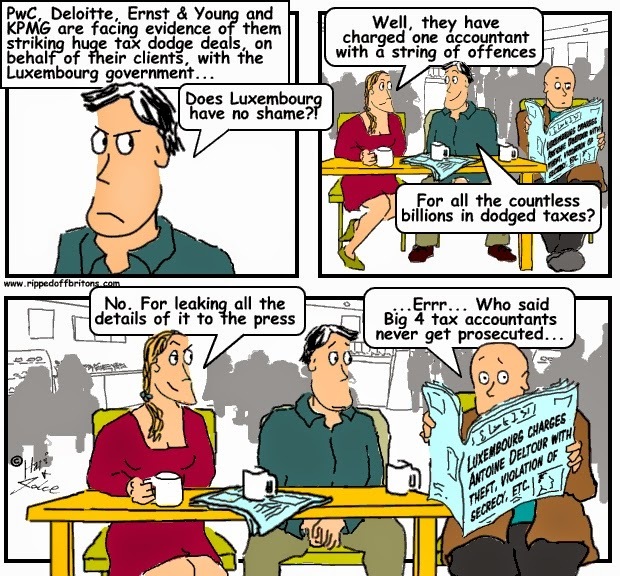 “This development is irreversible.” The Guardian and other media working with the ICIJ had this month published more revelations and further confidential tax rulings secured by Ernst & Young, KPMG and Deloitte. Extraordinary service! And what a timing for the delivery! I am really glad that I chose them for the transporting for my car. I would suggest https://www.a1autotransport.com/ship-car-to-luxembourg.php to everyone.